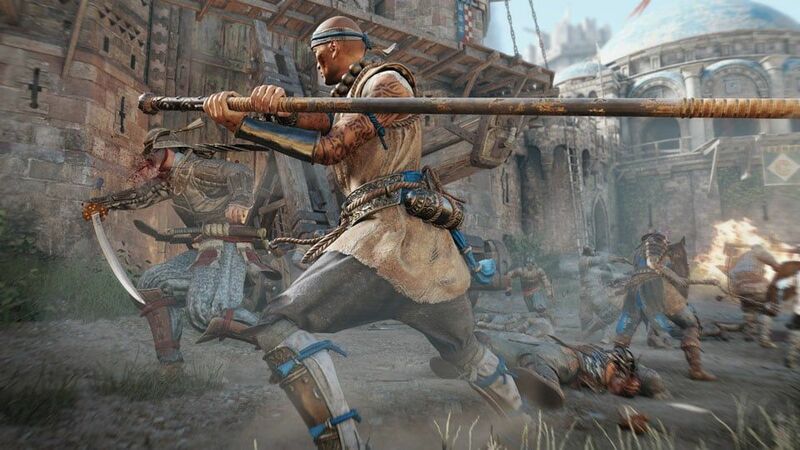 It has been over a year and a half since Ubisoft’s fighter For Honor launched. The was not the instant hit Ubisoft hoped for. But much like Tom Clancy’s Rainbow Six Siege, Ubisoft has supported the game with a stream of new content in hopes for a turnaround. 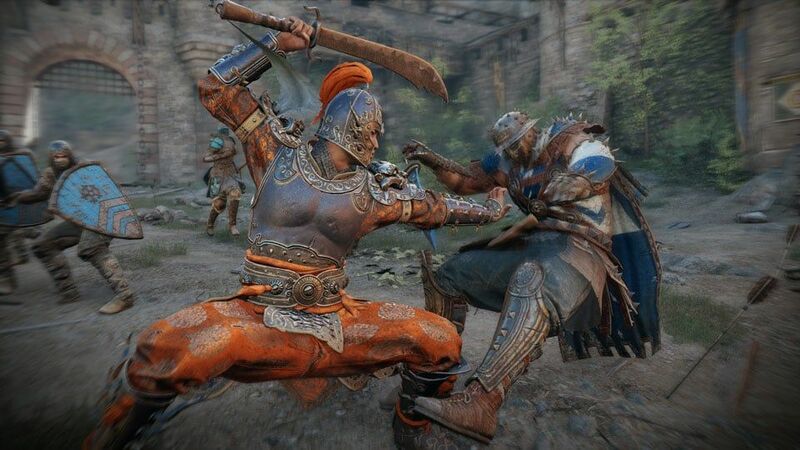 The “Marching Fire” expansion pack offers a major update for all players, such as the graphical overhaul and the new Breach PVP mode. Buyers of the expansion will get instant access to the four Wu Lin characters and the Arcade PVE mode. Story-wise, “Marching Fire” does not add much to For Honor’s lore. The Arcade mode offers a series of short sentences to give players a little background on the level. The sentences are generally very vague and are more flavour texts than actual additions to the game’s story. Due to the short nature of the text, the more light-hearted scenarios like the drunken evening are a lot more entertaining than the more serious ones. “Marching Fire” is one-part content update and one-part traditional DLC. All For Honor players will have access to the new Breach PVP game mode and can purchase the four new Wu Lin characters with in-game currency. 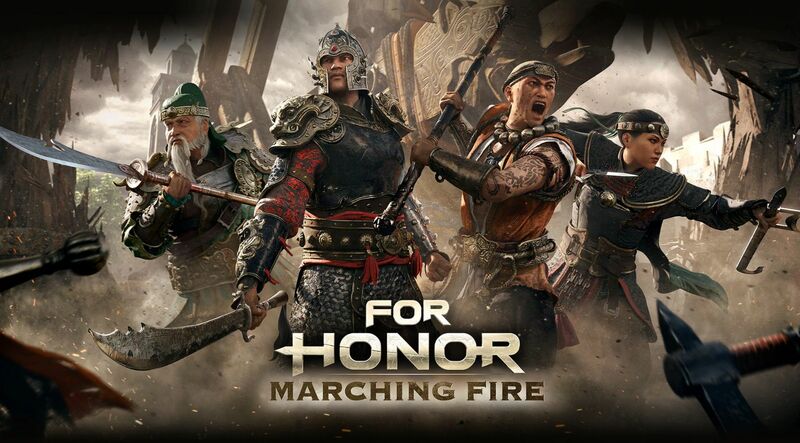 Those who opt to purchase “Marching Fire” will get instant access to the Wu Lin heroes and the new PVE Arcade mode. Breach is the new PVP mode. Teams of four are split into attackers and defenders. The attackers will accompany their battering ram through two castle gates in order to kill castle’s general. To win, the defenders must destroy the battering ram or force the attackers to consume all their respawn tickets. There are two main flashpoints on the map at any time. Pike men will fight around the battering ram. If the attackers control the battering ram, the pike men will push the ram faster. If the defending pike men control the battering ram, they will start dealing damage to the ram. The archer points above the fray work in a similar manner except the attacking team locks the capture point once it has been taken. Breach is an excellent addition to For Honor. Besides the fact it scratches the castle siege fantasy itch, Breach is a surprisingly newbie friendly mode. The action is concentrated on to two main areas. The battering ram is obvious enough on its own, while a subtle arrow and line will direct teams to the closest archer zone. New players getting stomped on by older, more experienced veterans can easily move to the other zone and still make some contribution to their team. Breach is a lot easier for new players compared to the deathmatch-style modes and focuses the action better than Dominion. My only complaint is the Breach maps are a bit dull. The maps feel quite similar, and none really manages to stand out from the pack. Arcade mode is an exclusive for those who purchase the “Marching Fire” expansion. It is a PVE mode for one to two players that offers a series of duels against the AI. Each duel has randomly selected modifiers like constant damage to add a little variety into the mode. Arcade mode is also the only PVE mode that shares rewards and progression with PVP. The game offers difficulty levels for a wide range of gear levels, making it a decent alternative to PVP when matchmaking is a bit slow. However, it’s repetitive enough that it can’t replace PVP entirely. To provide a little context to my experiences with the new Wu Lin characters, I haven’t played For Honor since I reviewed the game in February 2017. I found the new characters offers a nice variety for players of all skill levels. 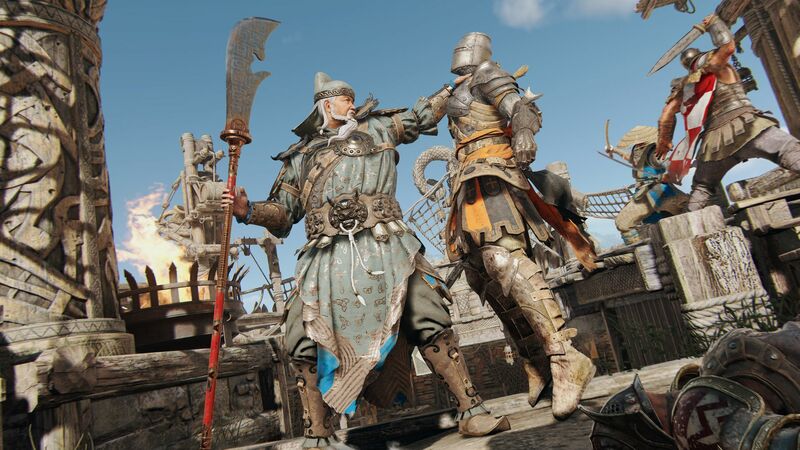 The Tiandi is the new Vanguard class, offering an easy to learn move set and the ability to cancel special abilities to dodge out of the way of incoming blows. The ability was helpful for me as I found myself overcommitting a lot while I was still re-learning the game. 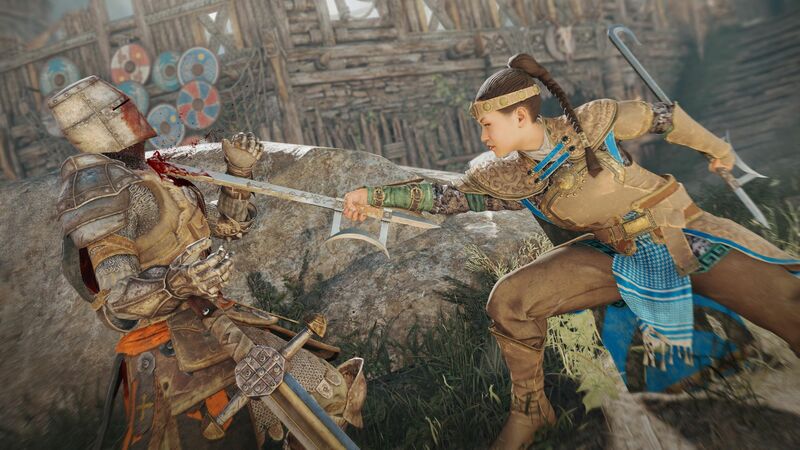 The Nuxia is rated as medium difficulty assassin, but I found her to be challenging to learn because several abilities only work when enemies are blocking, deflecting, or parrying. While the Heavy Jiang Jun is rated as hard, I found him to be a little easier to use simply because of his extra long reach. While his wide sweeps aren’t the greatest for 1v1 battles, it appears that Jiang Jun was designed with Breach mode in mind. The Shaolin class is definitely the most challenging class of the bunch. His Qi stance has its own set of moves, requiring players to master a much larger move set; however, I can see his flexibility and range rewarding much more skilled players than me. A big part of “Marching Fire” is the graphical overhaul. While For Honor is only a year and a half old, the improvements bring the graphics in line with Ubisoft’s recent releases. The new Wu Lin heroes fit in well with For Honor’s historical fantasy. The character design uses Chinese art and cinema as the foundation, then adds a fantasy flair to give characters a bit more flash. The audio experience for “Marching Fire” is excellent. The music and sound effects continue to be solid. The voice acting for the new characters are enjoyable. “Marching Fire” offers an excellent amount of content, though the price point is a bit debatable. Players who are just enjoying the free update are getting an amazing deal. The new Breach mode is a lot of fun and the visual upgrades are excellent. On the other hand, four new characters and the arcade mode for $30 USD is a hard sell. While it’s nice to see developers keeping communities together by offering new modes to all players, I think the expansion would be a lot more reasonably priced if enough steel for an extra hero or two was thrown in. If you’re already a For Honor fan, you’re probably reading/listening to this review trying to justify a purchase. In that case, just hurry up and buy it. You’ll be subsidizing the content for other players, but it’s the cost of keeping content free for everyone. But for those who aren’t fully invested in For Honor, it’s probably worth waiting until the expansion is closer to $20-25 USD. “Marching Fire” offers a solid amount of content for all, but is a bit expensive for the asking price.